In part one of our interview with Mark Anderson, executive and head of renovations for Memphis Invest in Tennessee, as well as Dave Smith, head of renovations for Memphis Invest in Texas, we dove in depth about the day-to-day operations of the renovations team, how we distinguish ourselves from other investment companies in the renovations process, and our “WOW” relationship with our vendors. Click here if you missed Part One. As we continue our interview with Mark and Dave, they not only share further insights into the renovations process at Memphis Invest, but they have some words of wisdom to share with our investors based on their decades of experience in the business. What makes the Memphis Invest renovation process uniquely valuable to investors? Mark: Simply put, we make houses right for our investors and our residents. We know exactly what needs to be done to make a house rent quickly while providing a quality home for a family, both of which benefits the investor. We've renovated over 5,000 single family homes in multiple markets and learned a lot of hard lessons along the way and our investors get to piggyback on all of this experience without having to take the hard knocks themselves. Dave: I believe our processes are uniquely valuable because our mission is to provide the best experience possible for the investor. There are many things that go into this, but the policies we put in place for the renovation department are geared to make a house functionally perfect and to minimize possible maintenance for a long-term positive experience for the investor and the future residents of the home. For example, if the HVAC in a house is more than 10 years old we go ahead and replace it. We know it can most likely be serviced and last another 5-10 years, but we know there is a chance that it won’t. We replace water heaters if they are 8 years or older. Many water heaters last 15-20 years, but we know they can fail much earlier. So, we set these policies in place to help ensure a long-term, positive experience. We like long-term relationships here. What is the most important aspect of the renovations process in real estate investment? Mark: There are several important aspects, such as proper budgeting, but the most important is definitely your vendor team. Literally nothing happens without your vendors. A team of trusted, quality contractors will make your life so much easier and we have some contractors that have been with us for more than a decade. They know exactly what our expectations are and they consistently deliver. Dave: For our niche of the real estate investment market, doing the right thing is the most important part of the renovation process. It’s inevitable that we come across issues that weren’t expected. You never really know what you are going to find on a house until you start opening things up. We ALWAYS, 100% of the time, do the right thing when an issue arises. Always do the right thing is a Core Value that is hammered into the core of every person in this company. Last week, we found out that the tile roofing on a house shouldn’t be repaired and really needed to be removed and replaced completely. We budgeted $500 for some minor repairs. We are now spending $11,000 to tear the roof off and install all new decking and shingles—because it’s the right thing to do. 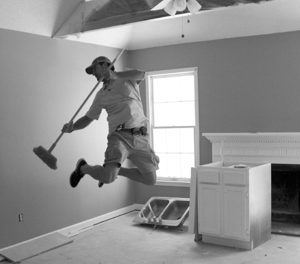 What is the most challenging or most rewarding part of the renovations process? Mark: We joke that there are no easy days in rehab. There are so many variables to overcome with contractors, budgets, scheduling, weather, code enforcement, etc. but when we lay out a solid plan, execute it and turn the worst house on the street into the best house, it's all worth it! Dave: The project managers would likely say that completing a house is the most rewarding part of the renovation process…seeing the “piece of junk” that was placed before them and turning it into a quality home that someone can enjoy. For me, I think it’s the 50,000 ft view of it all that is so impressive and rewarding to me, though. Everything about managing a renovation is challenging, and we have 248 going on today in 6 cities. It takes a massive effort and hundreds of people to move them forward. I was hired 10 years ago for a rehab project manager position in Memphis, TN. We had 6 active rehabs and I didn’t have the slightest idea what I was getting myself into. Being able to step back and look at the growth we’ve experienced and are experiencing is the most rewarding to me. Related Article: Memphis Invest Celebrates 5,000 Properties! The “before and after” transformation is always impressive. Is there something behind-the-scenes you want people to know about? Mark: Behind the scenes, it is not glamorous! Our project managers grind every day, rain or shine, hot or cold. 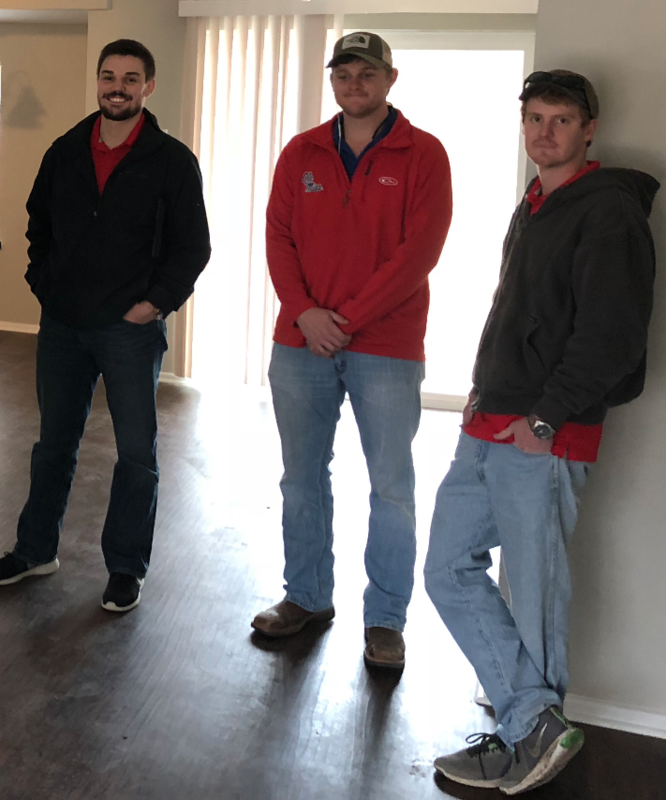 It takes a team of project managers and an army of contractors to renovate 250 houses at a time in 6 different markets and they are so good that sometimes it may look easy on the surface, but the reality is it’s a lot of hard work. There is no easy button. 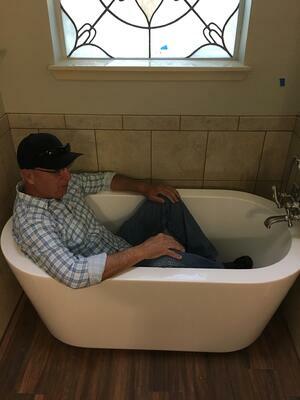 Dave: Managing a renovation project is a lot harder than most people realize. It isn’t a glorious job like HGTV can make it seem in their 1-hour before and after transformation, sprinkled with a couple of dramatic moments. A renovation project for Memphis Invest starts with an email and that email is the sound the starting pistol makes beginning a race. It’s a tooth and nail fight to get lots of people and companies to work together to complete the job on time, under budget, and with good quality. It is a high pressure, high stress, blood-sweat-and-tears type of environment, and it really takes a special type of person that enjoys this environment to flourish. When you have as many projects as we do there is always some type of drama going on somewhere. There are budget issues, timeline issues, scheduling conflicts, vendor drama, you name it. Murphy’s law becomes apparent in project management at this level. We all love it though and thrive under the pressure. This is why we hire tough and train the wheels off of everyone. Do you have any words of advice for real estate investors based on your experience? Mark: No matter how good the original renovation is, at some point in the future, you will have maintenance and move outs. Our goal at Memphis Invest is to minimize these things by doing a very extensive renovation on the front end and working hard to renew leases to reduce move outs but you must be prepared to cover these unwanted expenses when they do occur. Owning a portfolio of rental properties instead of just one can make this easier as the rental income from your other properties can offset the expenses incurred on the problem property. Dave: Buy more properties. One or two can be a headache. You want at least five. Secondly, you want to save your cash flow and keep it in an account that you can use to reinvest into the property when a person moves out or has a maintenance issue. Dipping into your personal checking account to pay for maintenance or move out expenses is not very pleasant. It’s much easier when you know you are paying for these things from another person’s rent payments. Join Memphis Invest and start building your successful turnkey real estate portfolio today.